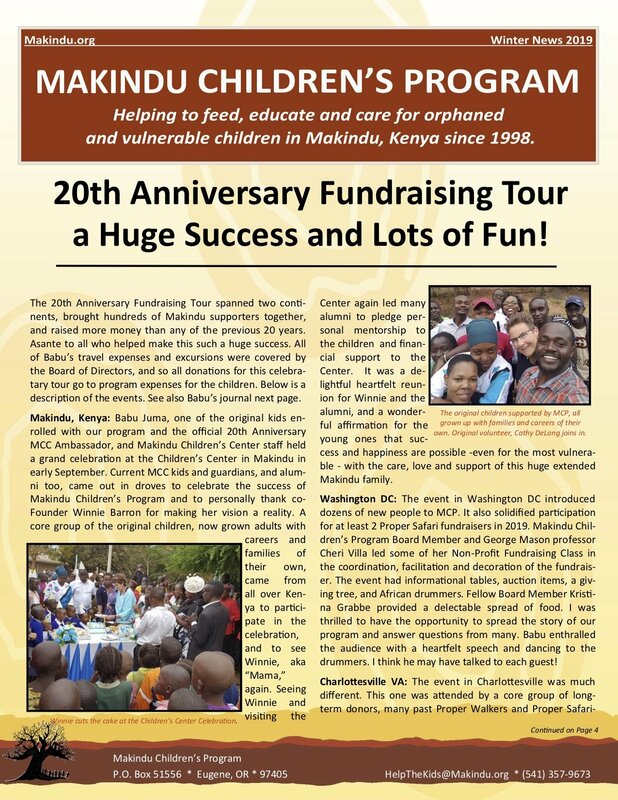 This month sends children back to school around the world, and Makindu is no exception. Dozens of little ones will go to Winnie Academy, the award winning preschool located at the Children’s Centre. They will be greeted again this year by Miss Peninah, the familiar and beloved teacher to those who have been attending Winnie Academy since it opened two years ago. Hundreds more will attend primary schools in their neighborhoods, with all fees, books, supplies, and uniforms provided by Makindu Children’s Centre. Like anywhere else in the world, some of the kids will thrive, others will endure, many will struggle and more will attempt to give up. Whatever the situation, Makindu is there to help. Star pupils are identified and offered direction and resources to continuing education. Truant children are found, counseled, and re-enrolled in school. Those in between are supported and encouraged in continuing their studies as they grow up and find an interest and/or skill they wish to pursue. When children finish primary school, they either go to secondary school (high school) or vocational school. 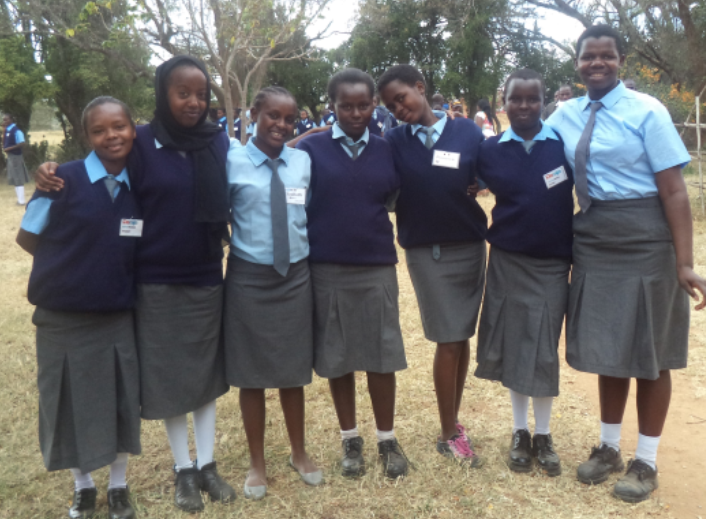 Makindu Children’s Centre beneficiaries Sofia, Florence and Mbinya are now attending the esteemed secondary school Daraja Academy for Girls. 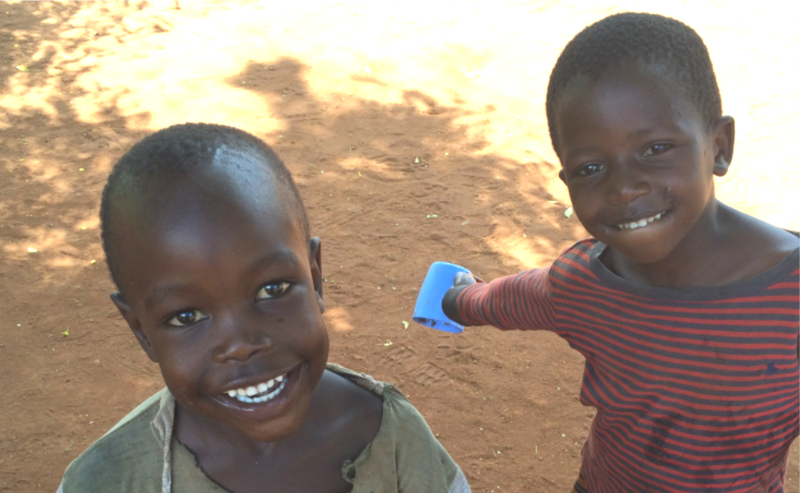 Another MCC child, Mukonyo, struggled as a slow learner in primary school. In fact she received the lowest placement score in her class. With help and guidance from the Makindu staff however, Mukonyo expressed interest in hairdressing and beauty therapy and enrolled at Nziu Polytechnic to pursue the vocation. This opportunity has transformed her. She is now excited, proud and confident. We are thrilled to see her excel! School fees were due in September and Makindu Children’s Program helped cover the costs for more than 1,300 children to attend school this term. Thank you for enabling us to give the precious gift of education to these orphaned and vulnerable children of Makindu. Every child deserves an education. Please continue to help MAKE EDUCATION POSSIBLE for more kids and donate today! This wouldn’t have been possible without YOU.